Rachel Woodward has been appointed as Mobile Mini's first ever female driver. Mobile Mini has appointed its first female HGV driver. The firm, which has 15 branches across the UK and its headquarters in Stockton, has taken on a female driver to deliver its units - one of only 3,000 in the UK. Following her appointment by Mobile Mini, Rachel Woodward, 24, was able to develop her driver skills further, receiving professional training based on carrying out the lifting operations required when delivering units from a lorry mounted loader crane vehicle. She said: “I’d not planned on becoming a driver for a living, but I love the freedom of getting out and meeting people. Rachel delivers storage container and site accommodation units from Mobile Mini’s East Midlands branch around the region. North East architects, Pod Newcastle has appointed two new members to its team. 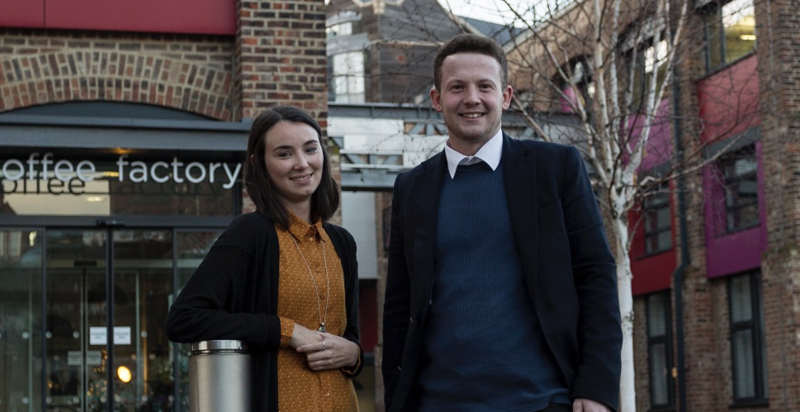 Launa Cowan, 26, has joined the Toffee Factory-based practice as a newly qualified architect, while Matthew Turnbull, 25, comes in as a Part II architectural assistant. Matthew re-joins after completing his Part I qualification in practice with Pod. Director, Adam Lee, said: “We are committed to hiring the very best people to support our growth and ambitions, so it’s fantastic to have Matthew and Launa on board. 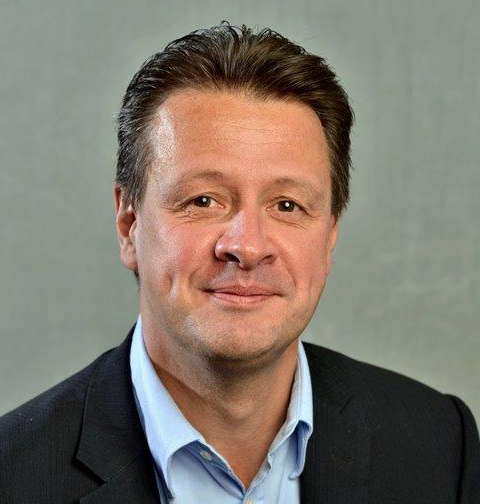 An accomplished strategic leader with over 20 years of experience as a chartered accountant, David has held senior roles across a number of multinational organisations in the UK and abroad, including: RBS; Ulster Bank, and, recently, Sainsbury’s Bank as its interim chief financial officer. He has led complex acquisitions and driven transformational change, whilst consistently delivering core commercial outperformance. 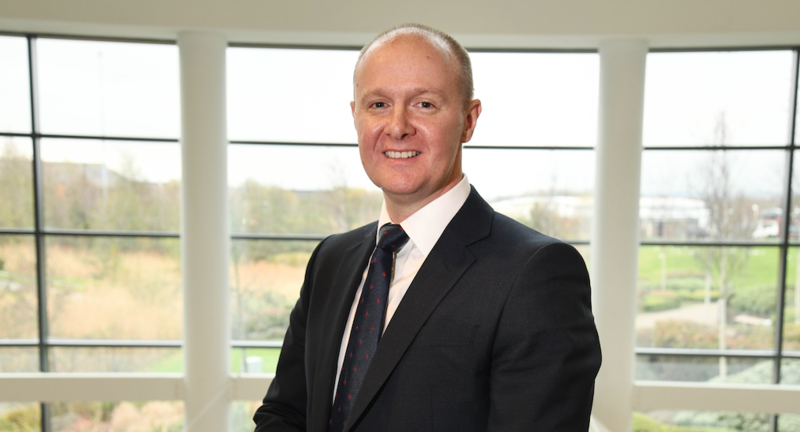 David, who will lead an experienced team in Newcastle, with responsibility for end-to-end finance, treasury and legal departments, said: “I am delighted to have joined Newcastle Building Society at such an exciting time as we shape the next strategic chapter of this successful growing business. North East consultancy, BMC Recruitment Group has started the new year with a new MD and plans for national growth. Chris Milnes, 35, joins the Newcastle-based recruitment consultancy from global insurance broker Marsh, where he was head of the Newcastle and Carlisle offices. During the next 12 months he aims to strengthen and broaden client relationships to boost revenue at the recruitment firm, while increasing his team from 14 to up to 24 and expanding into Scotland and London. With more than a decade’s experience in the insurance sector, Chris plans to refocus BMC in several areas - developing an insurance and risk management desk, growing the tech team while also boosting resources in finance, sales and marketing, and executive search. He said: “There is a real opportunity to develop a strong insurance and risk team that will serve existing and new clients in the North East and Carlisle area, [and] also nationally. “We’re keen to operate differently to many of the larger, traditional sales-led recruitment firms. By being genuine consultants we aim to become a trusted partner and establish long-term relationships with clients. Lookers, the new name for Jennings, has announced a number of appointments at its Ford and Kia service department in Washington. Graeme Armstrong, James Tague, Ashley Walton and Lyndsey Sirmond, are the latest recruits to join the aftersales department at the company’s Parsons Road dealership. Motor vehicle technicians, Graeme, 57, from Bensham, and James, 22, from Whickham, will be responsible for servicing and maintaining customers’ cars, while Ashley, 40, from Peterlee, and Lyndsay Sirmond, 38, from Washington, have taken on customer facing roles as service advisors. Global sports and entertainment architect, HOK has appointed Richard Knight as senior sports consultant working from its London office. John Rhodes, HOK’s director of sport, recreation and entertainment, explained: “We are delighted to welcome Richard to the HOK team. Knight added: “I have a long-standing passion to ensure that architects and operators work seamlessly in planning, designing and delivering venues and I am delighted to be joining HOK which remains one of the world’s most innovative and progressive sports and entertainment architects.